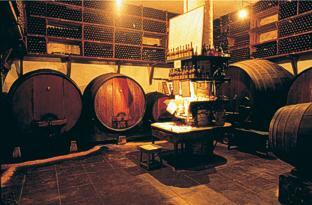 Porto is located between Douro and Minho, the cradle of the Portuguese nationality. Among the city's many cultural traditions we emphasise its much-celebrated gastronomy and the appeal it has for visitors. When talking about Porto we must mention some traditional dishes, such as the Porto Style Tripe, which gave the city's inhabitants their nickname - tripeiros - i.e. those who eat tripe. 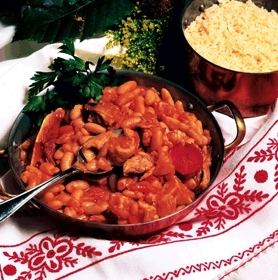 This dish, famous not so much for its preparation (veal's tripe with sausages and butter beans) as for the altruistic attitude of the Porto people who, in a moment of need, donated all the available meat to the ships leaving to conquer new cities in Northern Africa and kept only the animals' tripe for their subsistence, is today's major symbol of the city's gastronomy. More than just a recipe, this dish represents some strong characteristics of the Northern people: altruism, self-sacrifice, availability and hospitality. and rich secular cakes are singled out as examples. Porto Style eating means to eat abundantly, with great quality and refinement, always in tables well decorated with our jewellers' silverware and embroidered linen tablecloths. Vinho do Porto - Port wine is a fortified wine, produced only in the Douro Demarcated Region, unique for its particular characteristics: several different types of wine with an incomparably rich and intense bouquet, a high persistence both on the nose and in the mouth, in a wide range of sweetness and colour variety. Usually, Port Wine is the result of a mixture of wines from different years, with the purpose of obtaining a consistent quality through time. 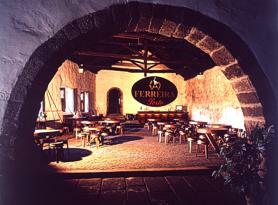 Some examples of this kind of wine are the Tawnies with an indication of age (10, 20, 30 and more than 40 years old). However, some Port Wines are obtained from one single harvest, such as the Vintage, the LBV and the Colheita, in which - contrary to what happens with the blended wines - the individual characteristics of each year are distinctively featured. 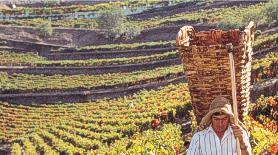 Wines from the Douro region are beginning to be accepted as some of Portugal's finest. 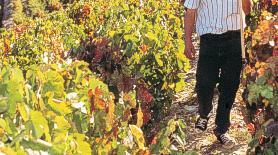 Although excellent white wines are produced here, the area is best known for its great reds.